An economic revolution is transforming the U.S.: the development of the New Mainstream. With the changing demographics, African Americans, Latinos, and Asian Americans will soon comprise the New Mainstream: a loose coalition of minorities who have forged their own identity in American culture. New census population projections underscore the importance of racial minorities as the primary demographic engine of the nation’s future growth, countering an aging, slow-growing and soon to be declining white population. New census projections indicate that the U.S. will become “minority white” in 2045. During that year, Whites will comprise 49.9 percent of the population while 24.6 percent will be Hispanic, 13.1 percent Black, 7.8 percent Asian, and 3.8 percent other multiracial populations1. At the same time, a new report found that for Whites, the mortality rates are now higher than birth rates in 26 states, up from 17 states two years earlier2. This new mainstream and changing demographic comes with a powerful buying power that can offer an opportunity for growth for the U.S. economy. This shift in consumer buying power is not only transforming how products are developed, marketed, and bought, it also illustrates that diversity can be the driving force of American capitalism. According to Nielsen, African Americans in the U.S. are responsible for $1.2 trillion in purchases yearly3, while Hispanics have a purchasing power of $2.13 trillion, making the Latino GDP larger than that of India4. 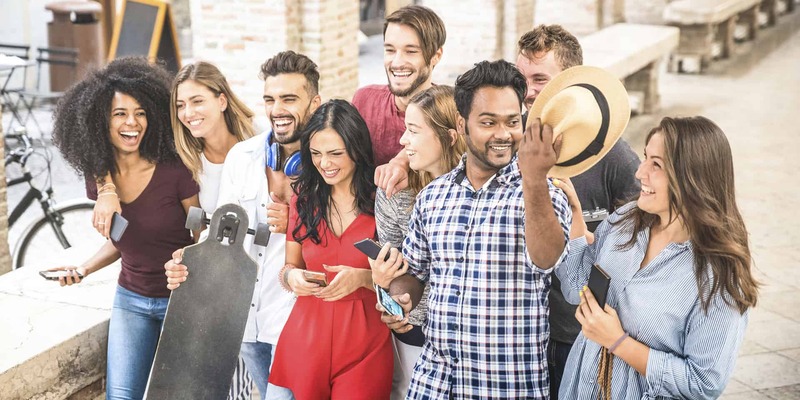 Furthermore, the collective multicultural millennial population alone spends more than $65 billion each year and influences upward of $1 trillion in total consumer spending5. As the American consumer changes, so do the products purchased and sold in the U.S. marketplace. These changes, for example, impact what products consumers buy at the grocery store and where consumers make their purchases, while simultaneously creating a “halo effect,” where other shoppers follow the multicultural consumers’ lead, frequently purchasing items that are reflective of the cultures that make up the fabric of the U.S. population6. Hear from a panel of political journalists and thought leaders at L’ATTITUDE, who will gather to discuss how this segment of the population is changing the United States and its economy for generations to come.